Through baptism we come to share in God’s life and become a part of the Church which becomes our new family. Water is the main symbol of baptism. This is because water symbolises life. Did you know that without water we could not live? We spend the first nine months of our life in water. Water sustains all life on earth (e.g., think of the crisis in Cape Town); it quenches thirst, it cleanses, it refreshes, water is so powerful that it can be used to create energy, it erodes mountains, and water is a symbol of purification and life. For all these reasons water symbolises the life of God without whom we could not live. 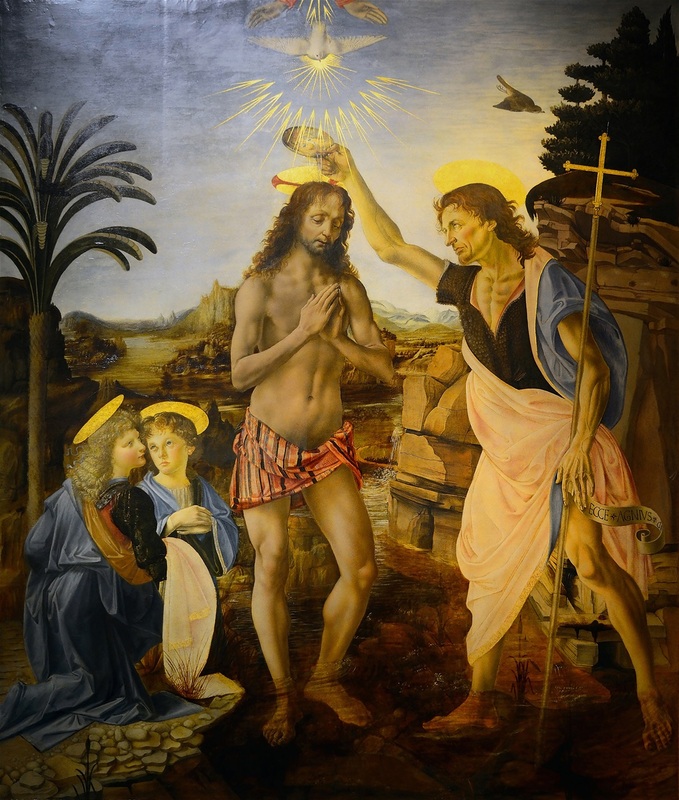 What happens in baptism is that, passing through the waters of baptism (in the name of the Father, and of the Son, and of the Holy Spirit) we receive new life in Christ. Pretty neat, huh? Why is water used during baptism? It has two purposes, it symbolises the washing away of sins, and renewal of life in Christ. We say that the waters of baptism wash away our sins which prepares us to receive the Holy Spirit. We say that, in baptism, God gives us new life in abundance through water and the Holy Spirit. Jesus came from Nazareth of Galilee and was baptised by John in the Jordan. And when he came up out of the water, immediately he saw the heavens being torn open and the Spirit descending on him like a dove. And a voice came from heaven, “You are my beloved Son; with you I am well pleased” (Mark 1:9–11). Jesus answered, “Very truly I tell you, no one can enter the kingdom of God unless they are born of water and the Spirit (John 3:5). Jesus came to them and said, “All authority in heaven and on earth has been given to me. Therefore go and make disciples of all nations, baptizing them in the name of the Father and of the Son and of the Holy Spirit, and teaching them to obey everything I have commanded you (Matthew 28:18-20). As I read the prayer to bless the baptismal water, try to pick out the many uses of water by God. Father, you give us grace through sacramental signs, which tell us of the wonders of your unseen power. In baptism we use your gift of water, which you have made a rich symbol of the grace you give us in this sacrament. At the very dawn of creation your Spirit breathed on the waters, making them the wellspring of all holiness. The waters of the great flood you made a sign of the waters of baptism, that make an end of sin and a new beginning of goodness. Through the waters of the Red Sea you led? Israel out of slavery, to be an image of God's holy people, set free from sin by baptism. In the waters of the Jordan your Son was baptized by John and anointed with the Spirit. Your Son willed that water and blood should flow from his side as he hung upon the cross. After his resurrection he told his disciples: "Go out and teach all nations, baptizing them in the name of the Father, and of the Son, and of the Holy Spirit." Father, look now with love upon your Church, and unseal for her the fountain of baptism. By the power of the Spirit give to the water of this font the grace of your Son. You created man in your own likeness: cleanse him from sin in a new birth to innocence by water and the Spirit.